1. Power convertible top to fully lowered position. 2. Remove battery cover and disconnect ground cable from battery terminal. Refer to <<86.15.19>>. 3. Remove trunk floor carpet. 4. Remove trunk front liner. Refer to <<76.19.31>>. 5. Remove trunk rear finisher. Refer to <<76.19.44>>. 6. Remove trunk RH liner. 7. Position a piece of absorbent cloth on trunk floor to protect paintwork from any fluid spillage. 8. 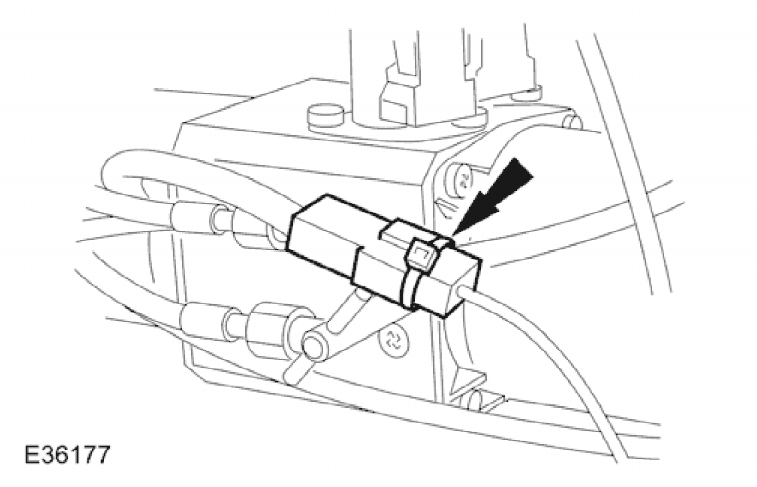 Sever and remove tie strap securing hydraulic pump hose to pump harness.